Farm-to-fork takes on deeper meaning here. “La Huerta,” our 20-acre sustainably-managed farm, is still managed by Eladio Soto, the same local who tendered the hacienda during AltaGracia’s days as a coffee plantation. But instead of beans, he now focuses his energy on cultivating the best local fruits and vegetables for our plates. Wear your most comfortable clothes, dig in and get dirty. 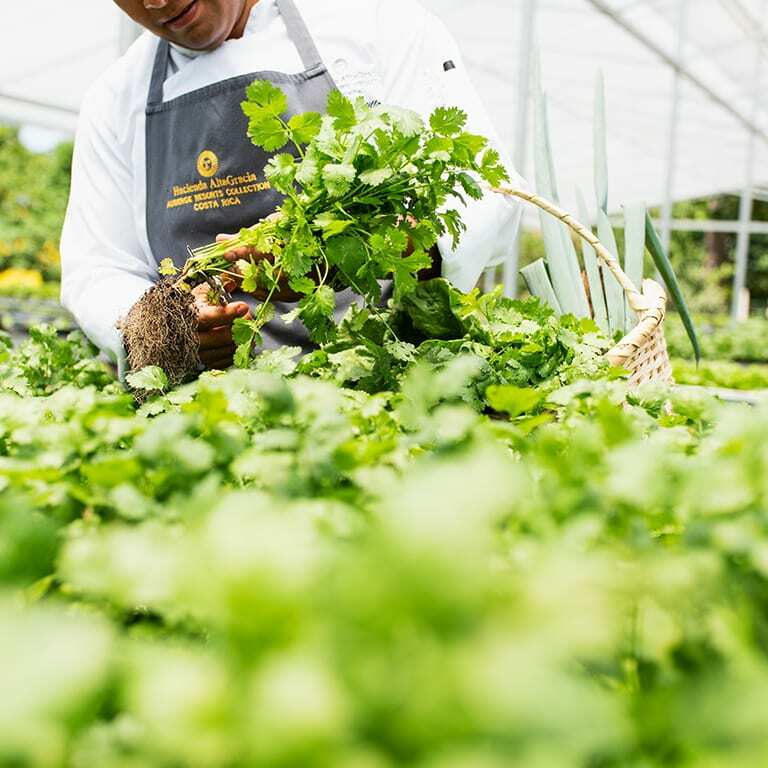 Accompany our chefs to pick the freshest ingredients for the day’s specials, from chayote to maracuya, Then enjoy your harvest at Ambar, our signature restaurant overlooking the valley.